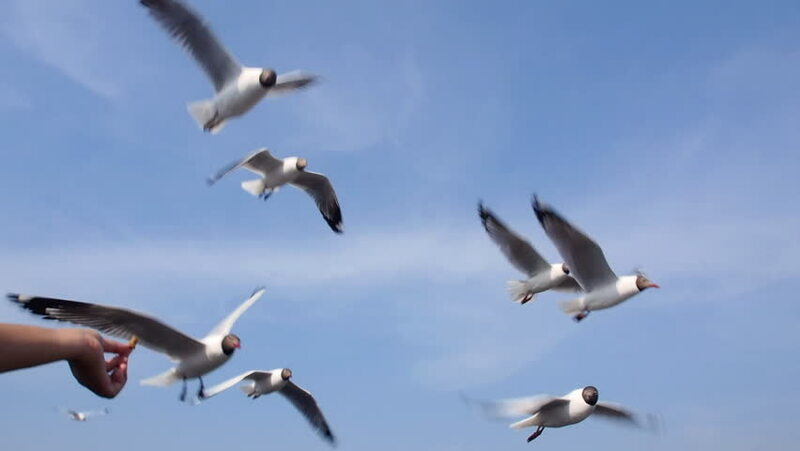 hd00:56Seagulls flying against the blue sky. Flock of birds flies in strong winds. Slow motion. Closeup video.